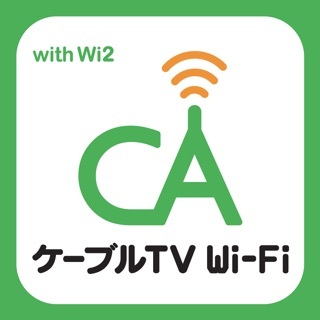 Wi2Connect4 is a Wi-Fi hotspot auto-login tool for Wi2 300 Wi-Fi service areas provided by Wire and Wireless Co., Ltd..
*mobilepoint2 is not supported by Wi2connect as of August 2014.
note: This tool can NOT be used to login in Shinkansen (The N700 series) or wating areas in Shinkansen Stations. For detail service areas, please use Area Search on this tool. 1. Enter your login ID and password. 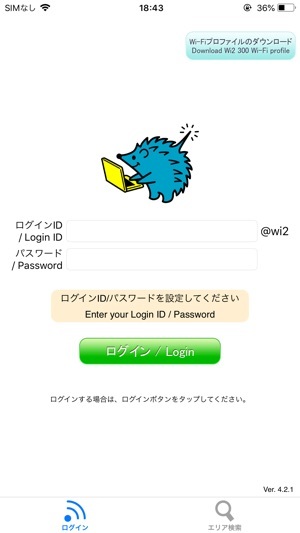 (To get your login ID and password, please tap Wi2 300 Service Page (top left). 2. Tap Wi2 300 Wi-Fi profile (top right) to install Wi2 300 profile. Open this tool at one of our Wi-Fi service areas to log in automatically. Once successfully logged in, it will close by itself. Tap the Logout button to logout from a logged-in spot. Wi2 were providing a good value Wi-Fi service but, now, monthly plan customers can no longer use the Premium hotspots. This means these customers have access to only a very limited number of regular Wi2 hotspots. Disappointing! But it's all in Japanese making it useless if you can't read hiragana and katakana at a minimum. So please develop an English version!